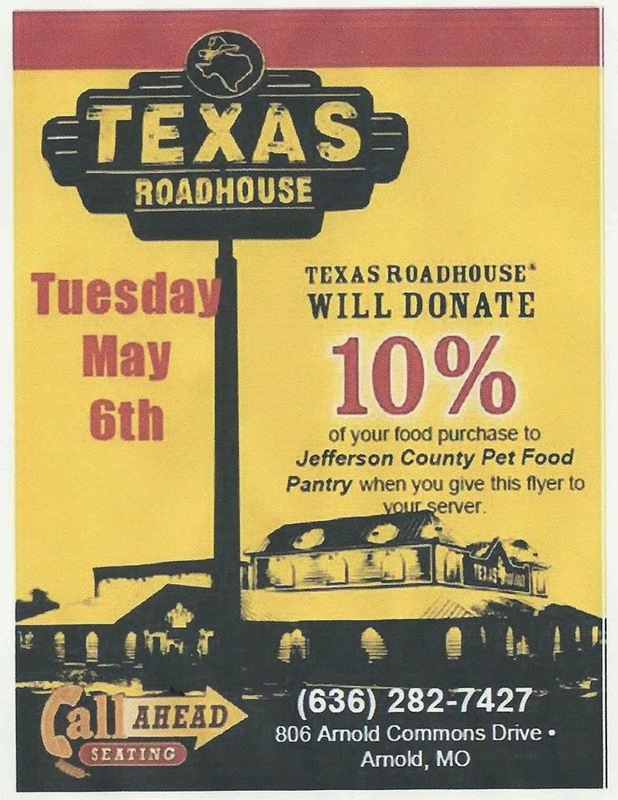 Jefferson County Pet Food Pantry : Tuesday, May 6th Texas Roadhouse, Arnold Fundraiser. Tuesday, May 6th Texas Roadhouse, Arnold Fundraiser. Join us May 6th at Texas Roadhouse Arnold. Just print out this flyer and hand it to your server. Jefferson County Pet Food Pantry will received 10% of your receipt.